Michelle Cohen and her baby Franklin are thriving, thanks to care from the new Center for Cancer, Pregnancy and Reproduction. 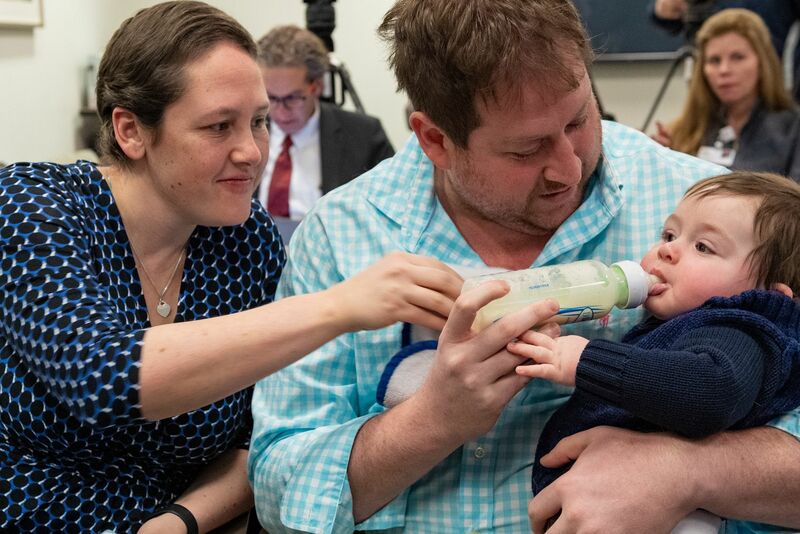 Two dates will forever be etched into Michelle Cohen’s memory: April 2, 2018, when her son Franklin was born, and July 11, 2018, when she learned she was in remission from cancer. Getting pregnant is one of life's gratifying moments. Ms. Cohen’s joy over her pregnancy soon turned to anxiety when she learned she had ovarian cancer. 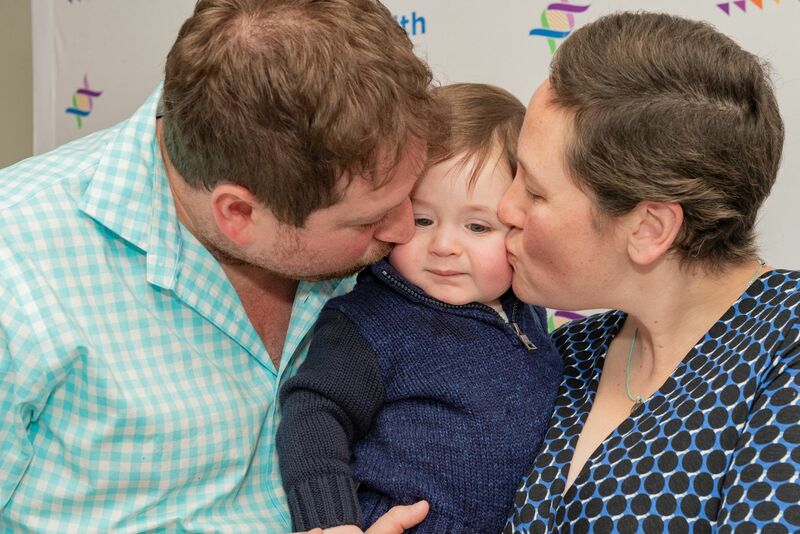 Yet Ms. Cohen and her son, Franklin, now lead a fulfilling life, thanks to comprehensive care by the multidisciplinary specialists at the new Center for Pregnancy, Cancer and Reproduction of Northwell Health Cancer Institute. Months and several attempts had passed before Ms. Cohen became pregnant in August 2017. She and her husband, Josh, were en route to a family reunion when they heard the big news. Everything went smoothly until late December, when she began to endure pain in her lower left side. Suspicious sonogram results led her to be admitted to North Shore University Hospital (NSUH), where doctors identified a large mass near her left ovary. She was soon released and instructed to monitor her pain, which returned two weeks later. Ms. Cohen’s ob/gyn, Wendy Fried, MD, sent her to NSUH. The mass had doubled in size and tripled in volume. It needed to be removed. She had ovarian cancer. 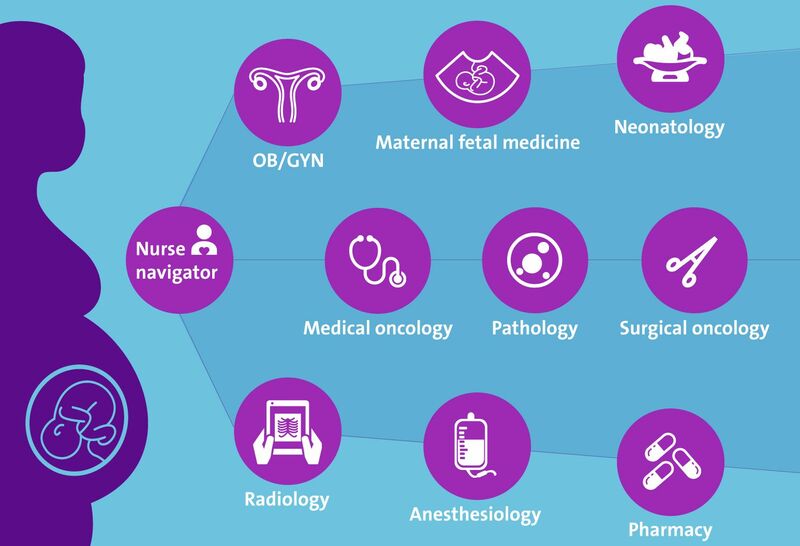 Treating cancer during pregnancy is extremely complex. Northwell has the expertise to bring you through it. Find the care you need. Cancer strikes one in 1,000 pregnant women. Ms. Cohen was 26 weeks pregnant when she learned of her diagnosis, which spurred a series of meetings and discussions about not just her care, but Franklin’s as well. On January 15, 2018, Lisa Dos Santos, MD, a gynecological surgeon at NSUH, removed the malignant ovary — the first of three surgeries she performed on Ms. Cohen. “Michelle’s first surgery was technically challenging because of the cancer diagnosis and the size of the mass,” Dr. Dos Santos said. “Because it was end of the second trimester, we knew it [would be] difficult to access during surgery. Minimally invasive surgery was not feasible. After her mass was removed, Ms. Cohen was placed on bed rest and under the care of Veena John, MD, medical oncologist, and Northwell maternal/fetal specialists. Northwell’s pharmacy team confirmed that Ms. Cohen could receive chemo. She underwent two cycles of intravenous paclitaxel and carboplatin. We thought about going to the city, but the amount of check-ups and time difference...for everything to be in one place really makes a difference. It’s caring for two patients at once. When Ms. Cohen began to lose her hair, she and Mr. Cohen had their heads shaved together. At the barber shop, they noticed a familiar face seated beside Ms. Cohen. Three weeks after Ms. Cohen’s second chemo cycle, Franklin was born at 7 lbs., 12 oz. The labor and delivery team included maternal/fetal specialists, anesthesiologists, neonatalologists, obstetricians and Dr. Dos Santos, who performed a cesarean section (C-section). Ms. Cohen received four more rounds of chemo. In July, Dr. Dos Santos reduced the risk of recurrence by performing a radical hysterectomy. Ms. Cohen returned to teaching full-time in September. She and Franklin are happy and healthy, and beginning to find the routine that’s essential during the first year of parenthood.